Pain management and stress reduction can be managed in a number of different ways. Sometimes combining traditional western medicine and alternative methods can prove successful or a patient may want to use alternative methods. 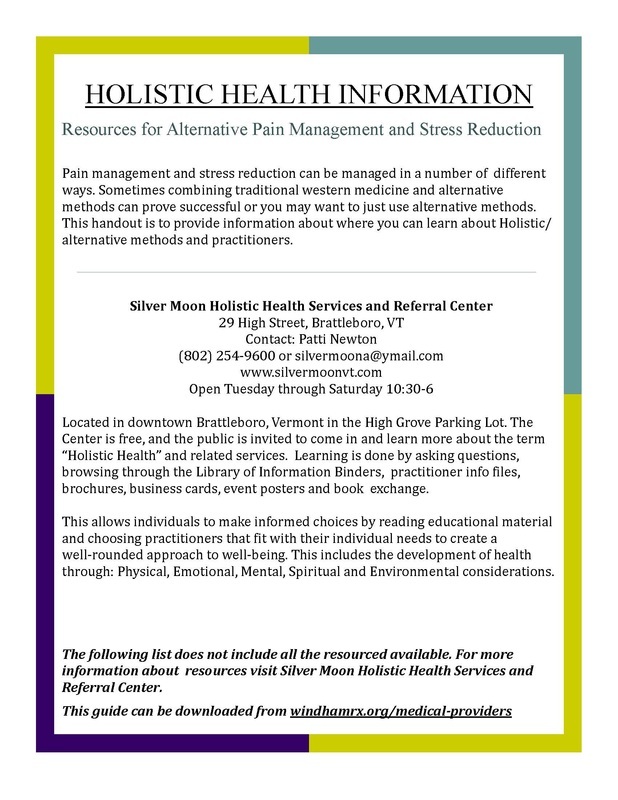 The Alternative Pain Management and Stress Reduction Resource Guide provides local resources for alternative treatments and support for pain management and stress reduction. Click on the image of the guide to view and/or download the file to print a copy.